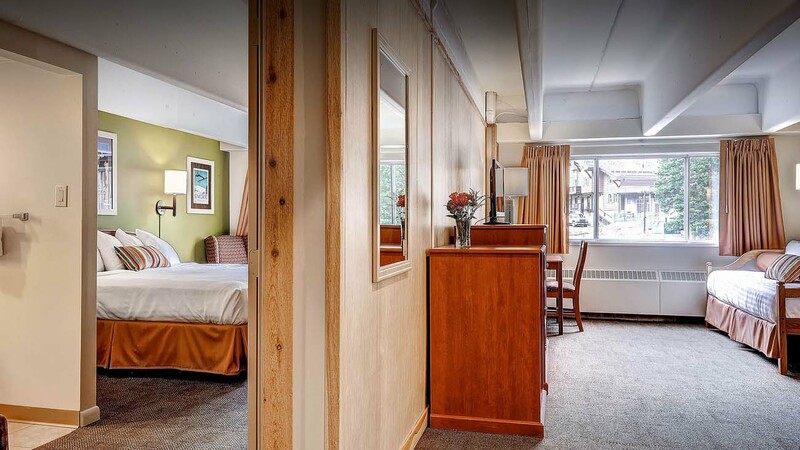 With two comfortable rooms, two full bathrooms, and approximately 580 square feet of space, our Shane Suite is a great fit for a family. This suite has a double Murphy bed and a twin day bed in the living area, and a comfy king bed in the bedroom. This suite also has a small fridge and an amazing view of Collins and Wildcat lifts and Alf's High Rustler! Breakfast and dinner are included for all guests.